June isn’t a month filled with new releases like May was, which is good because I don’t know about you, but I am still trying to catch up. Anyways, here are a few books and movies that I am looking forward to this June! Once and For All by Sarah Dessen – This is a YA contemporary that follows the daughter of a famous wedding planner, Louana, as she meets a serial dater named Ambrose. At first she tries to not get too involved, but that doesn’t discourage Ambrose who thinks she is the one. I know this is going to be a fun summer contemporary that I am going to have a blast reading, and I cannot wait for it to come out! This is book will be out on June 6th. Wonder Woman – I think everyone is pumped for this movie because how could you not after watching the fantastic trailer? The actress playing Wonder Woman looks incredible and I love Chris Pine so it will be fun seeing him in this most likely fantastic film. If you didn’t know, Wonder Woman follows a young woman named Diana who has trained among the Amazonian warriors on a mythical island. When her home land is threatened, she must travel to the outside world and take the steps to becoming who she was destined to be. This movie will be in theatres on June 2nd. 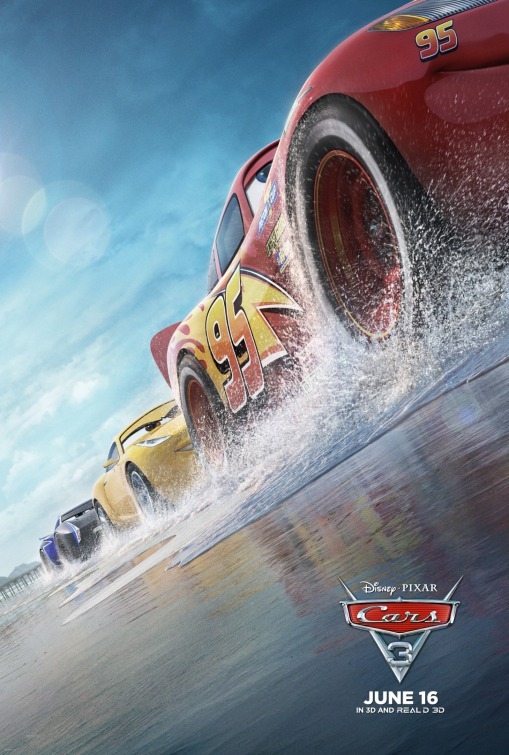 Cars 3 – The Cars movies are movies I have been watching since I was a little kid. I am not entirely sure what the detailed plot of this movie is about…but I know it will have racing like always. Anyways, I hope I won’t be disappointed by this movie and I am looking forward to it! This movie will be out on June 16th. Despicable Me 3 – Again, another movie series I have been watching for quite a few years now. I was not anticipating a third movie, but since they are giving us one why not go see if its any good? Also not entirely sure what the plot of this movie is, but I am expecting it to be like the others and involve Gru and the girls trying to save the people from evil. This movie will be out on June 30th. That is all for my June 2017 Talk and I hope you enjoyed. Don’t forget to check out my last blog post: Long Reads!